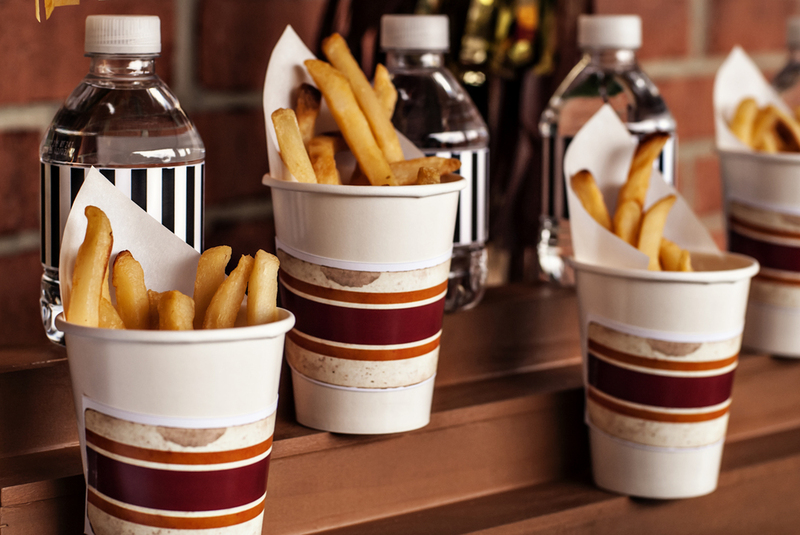 We sell our Super Bowl Party decorations in a complete set or individually. Pictured here are the field table cover, goal post set and bleacher stands. It's that time of year again! 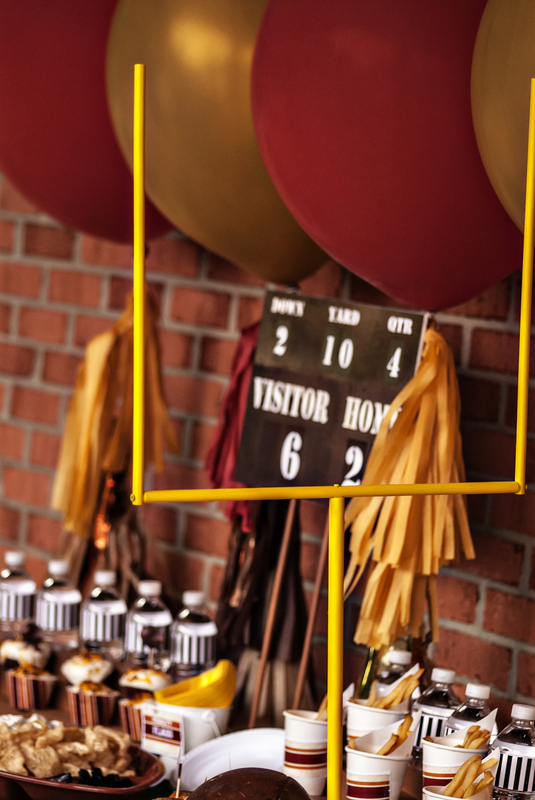 The Super Bowl is right around the corner and we are busy as bees crafting our handmade football party decorations to ship out just for the occasion. 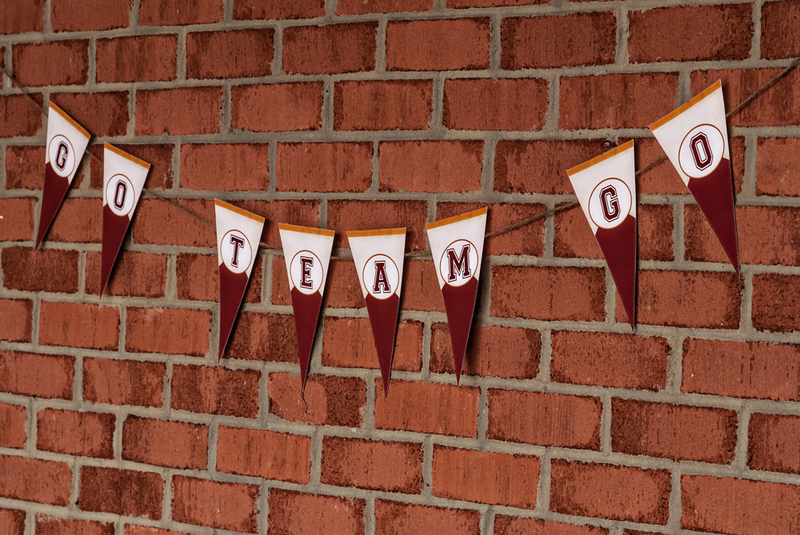 If you are planning to order any of our football party decorations for your own Super Bowl party this year, we ask that you place your order no later than JANUARY 16th. Beyond that date we cannot guarantee arrival before the big game. 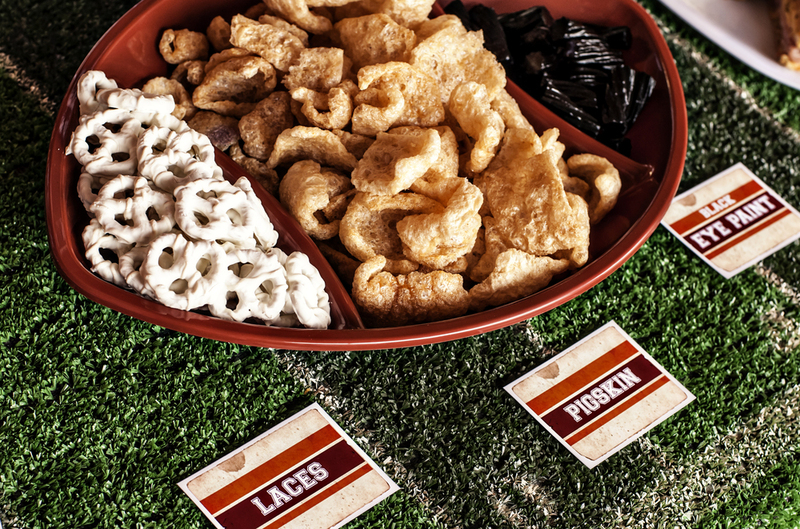 If this is the first time you've ever visited us for football party ideas, allow us to share some of our most popular idea for food and decor! Are you ready for some football? 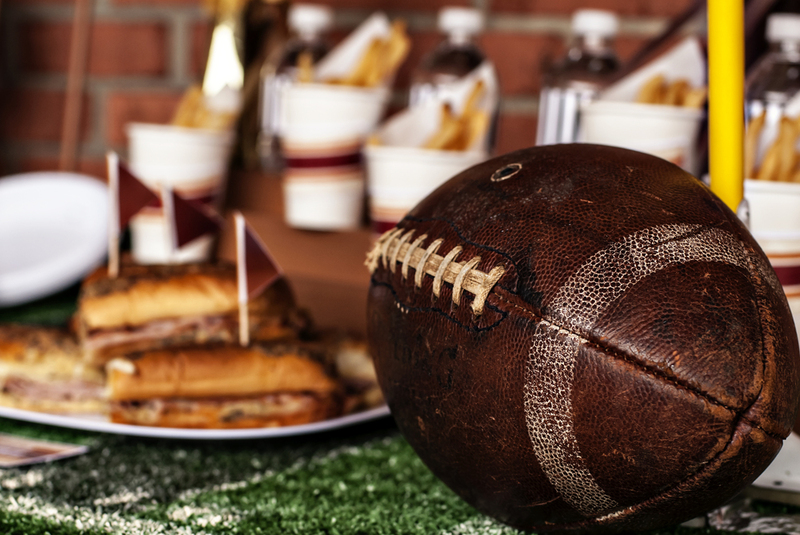 We have some outstanding Easy Football Party Ideas for you to kick off football season in style! First off we want to refer you to our original post about the Football Party we put together. 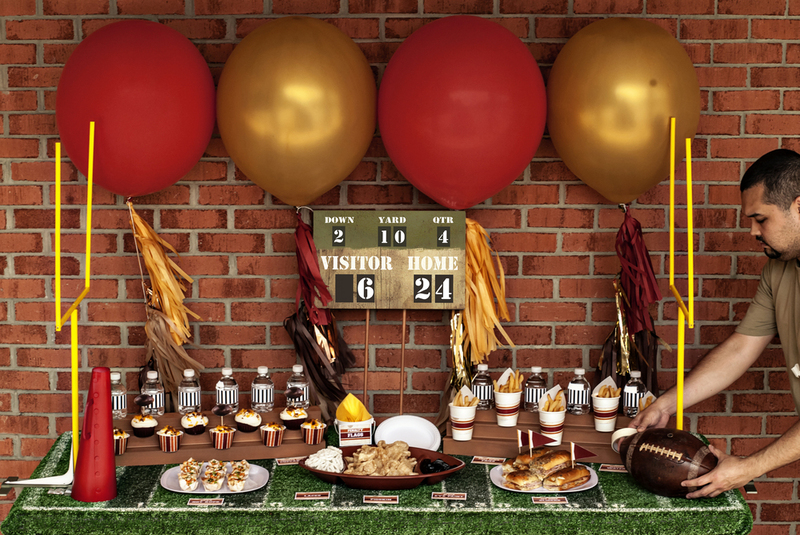 This party is chock full of Easy Football Party Ideas, a full plan that includes our Football Printable Party Decorations that are available in our shop. 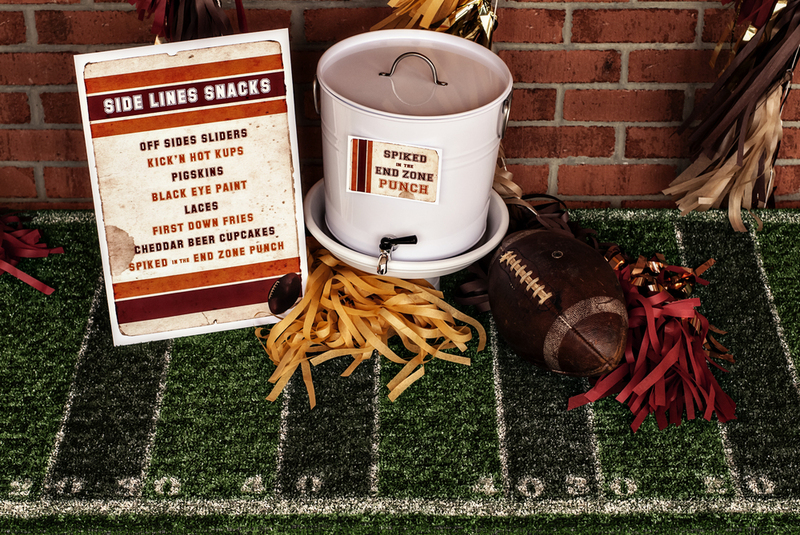 The Football Printables include everything you need to set up your party like ours, with custom text and your choice of team colors! Our favorite feature is the Referee Bottle Wraps. 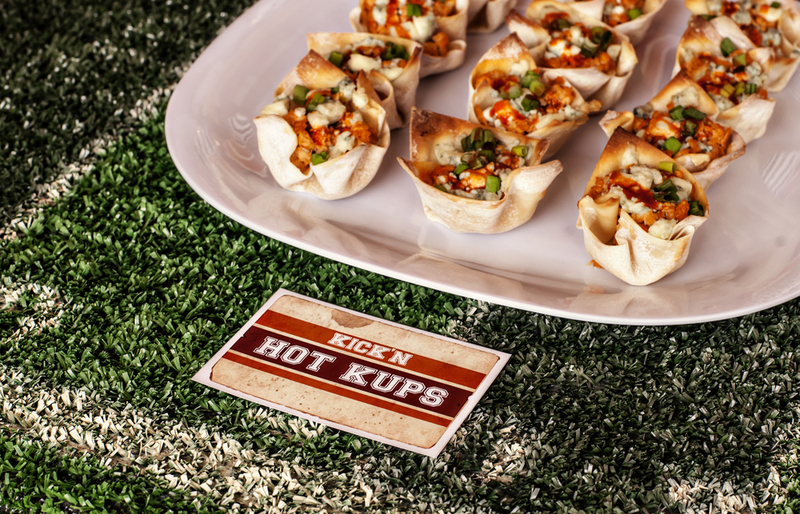 To see the rest of the recipes we used on our table and much much more, visit our Football Board on Pinterest here. Be sure to include our Cupcake For Men on your party table, a moist delicious treat that will please everyone. Ingredients include: BEER, CHEESE & BACON. 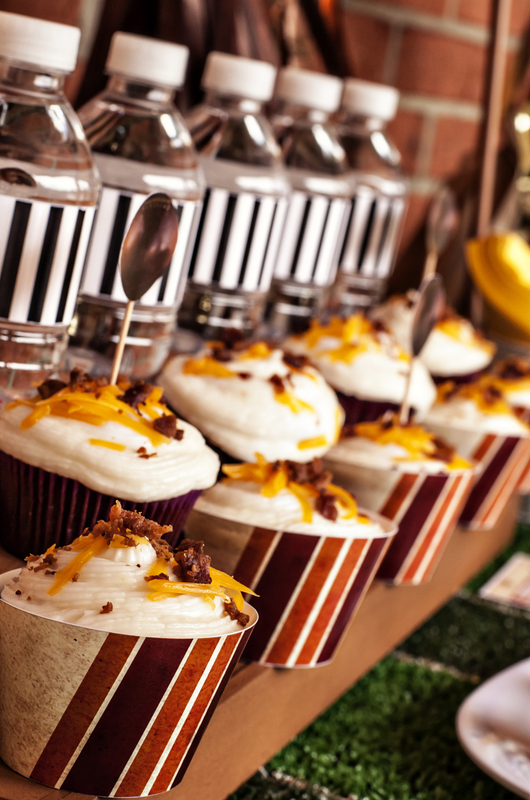 What more could you want in a cupcake really? If you feel bit nervous about a cupcake that includes beer and cheddar cheese (I was at first) let me put your mind at ease. These are still sweet just like any other cake, and the beer in the butter cream is the perfect touch. Use your favorite and get creative with specialty cheeses too, you could make these cupcakes something simple or super gourmet.